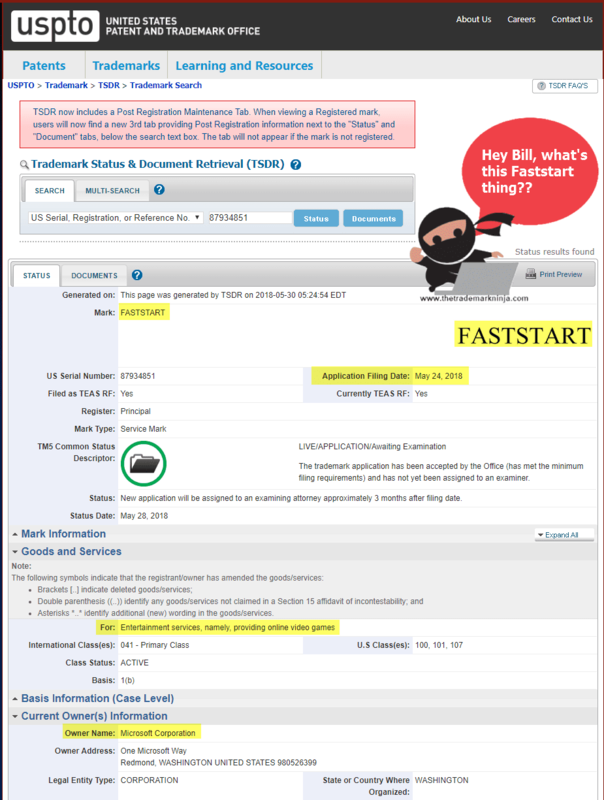 Last week (24 May, 2018) MIcrosoft filed a US Trademark Application for ‘Faststart‘ for ‘Entertainment services, namely, providing online video games‘. Is this something that the gaming community knows about? I’ve done some google searches, and while ‘Microsoft Faststart’ goes throw up some results, none of them have anything to do with comptuer games or video games, or providing them online. If you know anything, let me know. PreviousFuturescope 2018 – Should We Meet? NextUEFA World Nations League Logo Revealed – It’s, eh, lovely.